Samadhi Drogheda: Drogheda's Yoga Centre for all levels of ashtanga yoga, Iyengar yoga, vinyasa yoga and other yoga styles in County Louth. The home of good yoga in Louth. Samadhi is a Yoga Alliance Certified 200 hour & 300 hour School. Samadhi is Drogheda's only fully dedicated classical yoga studio, offering a range of yoga classes, with a style suited to everyone. Samadhi Yoga Drogheda is based in a beautiful airy high ceilinged room in a 200 year old cut stone warehouse, right beside the Boyne river, with all the equipment we need for yoga practice. We have only the most experienced teachers, teaching Ashtanga, Iyengar, Hatha, Kundalini, Prenatal, Sivananda, and Vinyasa yoga styles. 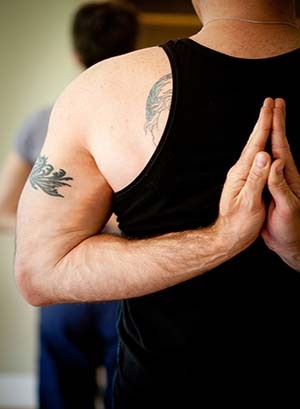 To compliment your yoga practice we have a brilliant therapist on site offering a range of massage therapies ranging from deeply relaxing to strongly stimulating. "The yogi in Samadhi is not devoured by time, is not bound by karma, is invulnerable to any weapon and unassailable by any person." We are open on Easter Saturday, but closed on Easter Sunday and Monday. Enjoy your Easter Eggs! 10am each Sunday, we got your weekend covered! Sunday 28th April, 10am-12pm, with Astrid, €25. The perfect Workshop for a Sunday morning, feel free to drop in! Golden Years Yoga, for those who need extra care and support. Join us on Thursdays at 11am-12.15pm with Slava. Ongoing, with Slava M. Comprehensive treatment course for people suffering from the lower back pain. Our next training will begin in October 2019 in our Temple Bar studio. Sure it's only up the road. Get practicing now!